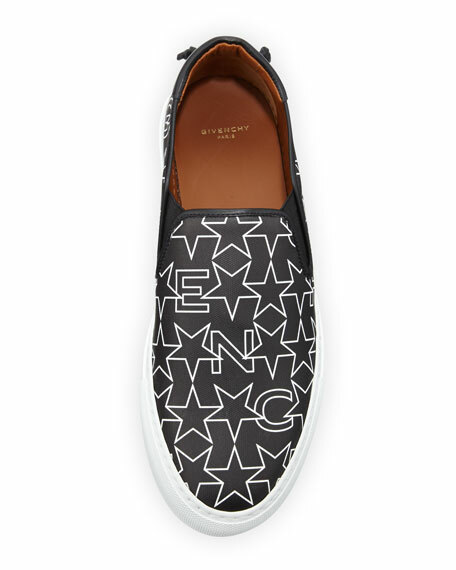 Givenchy coated canvas sneaker in star and logo-print leather. Gored stretch insets at vamp. "Street Skate III" is made in Italy. For in-store inquiries, use sku #1695604.